Doom DMP2012 is a wad-file for ZDaemon. Description:	Harmata said it best: "I could've picked random wads from idgames and then combine them in a megawad and it would be exactly the same thing as this project." The goal of this project was to get as many mappers as possible to contribute to a single project. All maps were accepted and nobody was rejected. This megawad contains 40 maps from 40 different mappers from the Doomworld forums. 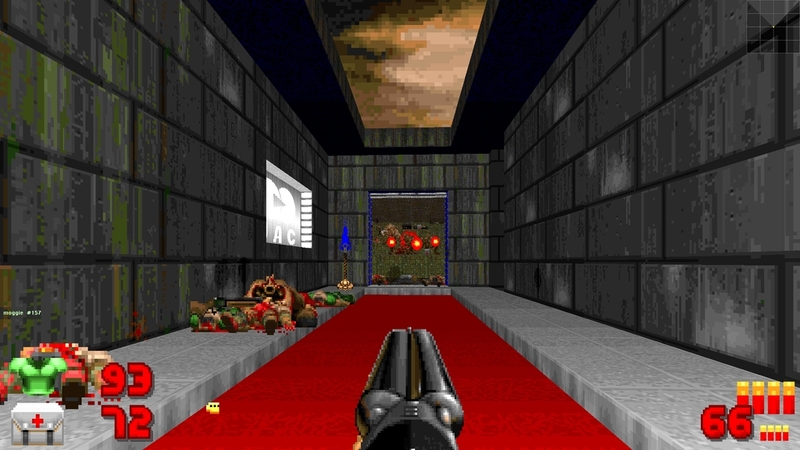 The musicfiles are retrived from id Software, Doomworld, authors of the programs and music they used. © To the Doom Music Developers. All Rights Reserved.